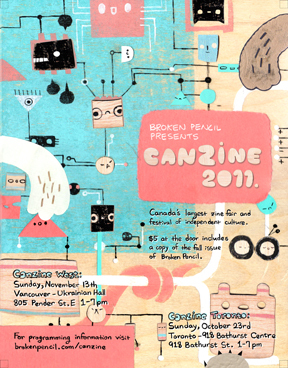 It's official: I will be distributing my latest works at Canzine 2011 in Toronto! I am both nervous and excited as this will be my first time sharing my work in a public forum. What should you expect? While my stories have been delving into the worlds of science fiction and fantasy my poetry reminds me of quiet rooms, stardust and blue hair dye. I hope you'll come find me and say hello. It would be so nice to see you!